NIA CHARLESTOWN NEVIS (February 12, 2019) — Hon. Mark Brantley, Premier of Nevis, has called on returning university graduates to inspire other young people on the island to pursue tertiary education. 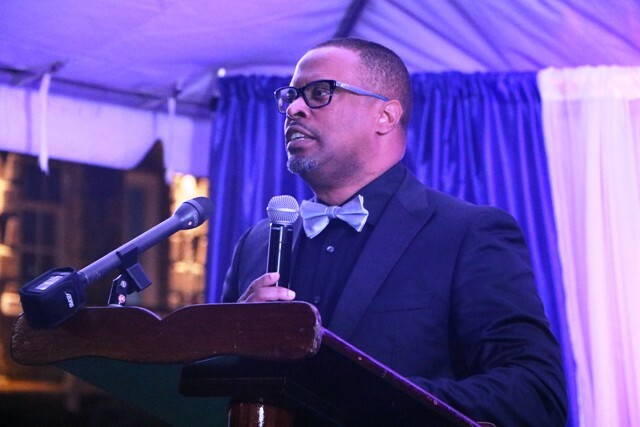 The Premier, who is also the Senior Minister of Education in the Nevis Island Administration (NIA), was at the time addressing 32 returning university graduates at the First Congratulatory Reception for University Graduates hosted by him and First Lady Sharon Brantley, on the grounds of Government House at Belle Vue on February 09, 2019. “You who are still young can inspire those who are still coming from the halls of the secondary schools and the sixth form as the case may be. You can inspire your younger siblings and your younger cousins that they too can aspire to be university graduates or to get training in whatever field that they so desire,” he said. Mr. Brantley, who is an education advocate, underscored the importance of education citing that it is the only sure way out of poverty and a means to advance oneself and his family. “Education for me is of critical importance. I know some people are tired of hearing me say so but the truth is that we want to continue to encourage our young people especially but all of our people, to continue to seek higher education. “Higher education need not necessarily mean that you go to do a bachelors or a master’s degree, significant as those are. Education is a lifelong process and it could well be that you decide to do something in vocational training, that you are going to be certified in something and that too we encourage,” he said. The minister noted that there are many scholarships made available by various organisations and governments many of whom complain that the students have not been taking advantage of them. Mr. Brantley also spoke of some of the benefits of utilising scholarships to pursue tertiary education. “When you’ve graduated and you come back, rather than using your pay cheque to pay the bank for your student loan, instead you are using your pay cheque to pay down on a home or a car or a bit of land or whatever else you need to build yourselves and your families,” he said.